1934 was a very good year for pop culture. Donald Duck made his debut and Katharine Hepburn received an Academy Award. Alcatraz opened in San Francisco Bay. A soon-to-be-famous photo of the Loch Ness Monster was taken in Scotland. And on a side street off Hollywood Boulevard in Los Angeles, a bar called Don the Beachcomber quietly opened. Which of these had the most lasting influence on our day-to-day lives? Arguably, Don the Beachcomber, which launched a mania for what would be called “Tiki drinks” – a style of cocktail undergoing a remarkable revival. 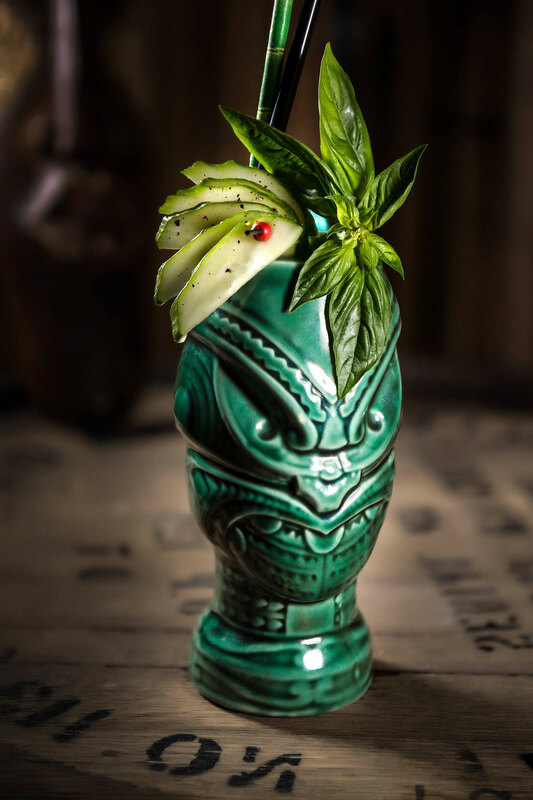 Over the past five years, nostalgia combined with an appreciation for craft, drink pageantry and exotic flavors, has spawned a whole new generation of Tiki. These tropical blends have cropped up on many classic cocktail lists showing that the Tiki drink has officially become enshrined as an icon. “It’s an unprecedented lifespan for a drink fad,” said Tiki drink expert Jeff “Beachbum” Berry nearly two decades ago – and he should know. He’s tracked down lost recipes from vanished Tiki bars, collecting them in six books, including his most recent, Potions of the Caribbean. Berry has since opened his own bar, Latitude 29, in New Orleans, where patrons get a history lesson by the glass. Tiki is the term employed today to describe both a style of cocktail and the world in which it was served. (In the ’30s, the drinks were called “exotics” or “beachcombers.”) Tiki was built around a sort of cartoonish Polynesian ideal – a land of hula dancers, palm trees, statues depicting stern idols, and tropical fruits plucked from nearby trees. Don the Beachcomber (real name Ernest Raymond Beaumont Gantt) triggered the first Tiki wave, luring Hollywood celebrities like David Niven and Marlene Dietrich. The trendy appeal of his bar did not go unnoticed, and others were quick to copy. Among the most successful: Victor Bergeron, who opened Trader Vic’s in Oakland in 1937. 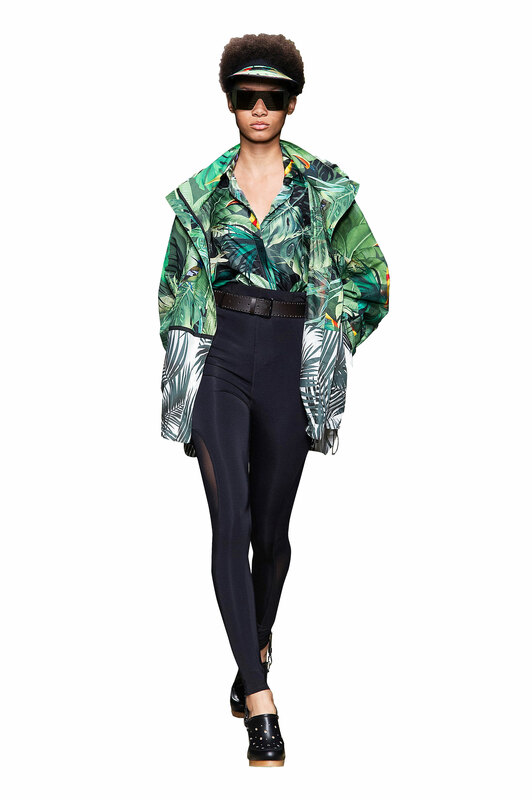 By 1940 Bergeron was franchising the name, and his brand would come to define Polynesian excess for nearly three decades. Once Tiki spread to The Plaza’s Trader Vic’s, a New York City celebrity favorite, the trend really exploded. 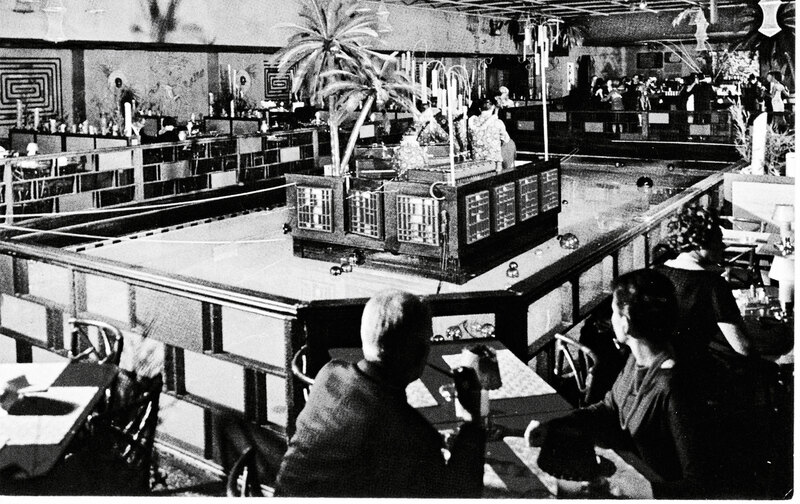 In 1945, the Tonga Room & Hurricane Bar at Fairmont San Francisco became a pinnacle tropical drink locale, ushering in a cocktail culture that went beyond just libations. Through theatrical tricks such as the inclusion of simulated rainstorms (aka thunder and lightning effects), today’s visitors get a five-senses experience. It’s kept up the momentum in popular culture as well: Celebrated chef Anthony Bourdain calls it “the greatest place in the history of the world.” This is not to mention the Tiki-informed party, clothing and homewear products from brands as big as Etro and as small as those found on Etsy. Despite its current takeover, how to define a Tiki drink can be elusive – which seems appropriate for a subculture that celebrates an easygoing, unstructured lifestyle. But Tiki drinks generally include rum, in large part because there was a surplus of cheap rum nationwide during the 1930s. (When domestic distilleries were shuttered by politics or war, West Indian distillers valiantly stepped in to fill the vacuum.) The trend also embraced freshly squeezed fruit juices, such as orange and pineapple. “For the life of me I can’t see why any bar uses anything but pure fresh lemon or orange juice,” Victor Bergeron wrote in his 1948 cocktail guide, unwittingly creating a mantra for the craft cocktail revival that would surface a half-century later. Perhaps more so than ingredients, the drinks involved an element of ritual and specific vessels – a ceramic buffalo horn, say, or an Easter Island Moai head. Tiki eventually suffered from its own excess, becoming more about the tiny paper parasols and less about the quality of the drink. Yet Tiki never fully perished. It limped on, if much diminished, in places like The Tonga Room, Mai-Kai and the Tiki-Ti in Los Angeles. And then came the cocktail revival of the early 2000s. A crew of curious imbibers – like Jeff Berry, Otto von Stroheim, Sven Kirsten and a cadre of self-styled “Tiki archeologists” – began researching and documenting the golden age through travel and research, piecing together the clues that held the secrets to the original and exalted Tiki drinks. But why the revival, and why now? Some say that after craft bartenders mastered the classic three- and four-ingredient cocktail, they rose to the challenge of more elaborate Tiki-style drinks. Others have noted that the elaborate presentations are eminently Instagrammable. The ambiance that Tiki culture promises has much to do with why a new wave of patrons and bartenders are diving into such punch-infested waters. Beyond the global reach of this trend, what is most impressive is the future of the phenomenon. 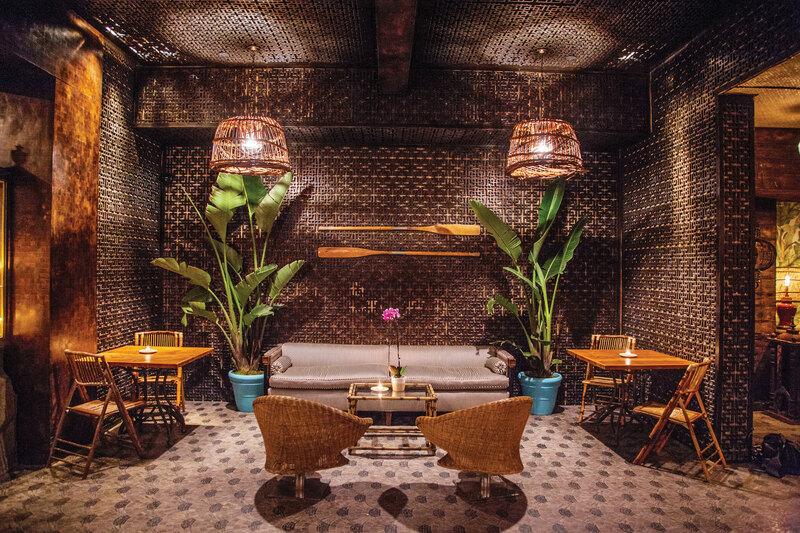 The next generation of tastemakers is choosing to treat Tiki as an ongoing evolution that respects and builds on a rich culture and refuses to bank solely on nostalgia.